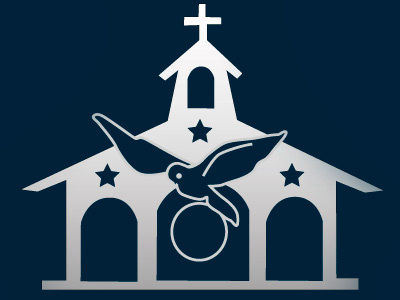 The Columbus Catholic Women’s Conference (CCWC) was held on Saturday, February 23rd, in the Ohio Expo Center. 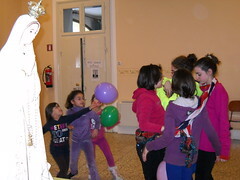 From February 16th-23rd, the Servant Sisters of the Home of the Mother had a get-together for girls in Alcalá de Guadaíra. 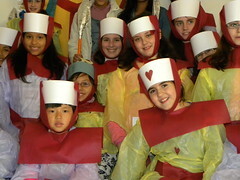 Saturday, February 23rd we had the monthly get-together for girls, 7 years and up, in Mostoles (Madrid). 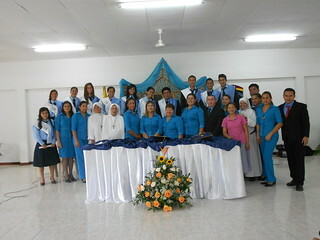 On February 20th, 2013, we celebrated the first high school graduation of the Holy Family Education Center in Playa Prieta, Ecuador. 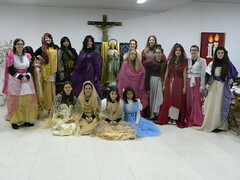 From February 15-17 we had a get-together for girls of the HMY in Madrid, in the carmelite convent of "La Aldehuela" in Perales del Río. This Sunday, February 17th, the Home of the Mother community in Valencia (Spain) wished to begin Lent this year by giving to God a day of spiritual retreat and fraternal encounter. 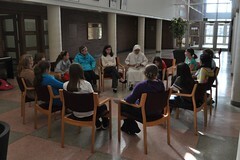 The Home of the Mother held a Silent Retreat for Young Adults on February 15-17 in Northern Florida. In Lumezzane, Brescia (Italy), February 11th, the Feast Day of the Our Lady of Lourdes, was a day dedicated totally to Our Lady. The boys of the HMY got together in Playa Prieta from February 9-11 for an encounter. Home of the Mother of all mankind, Mother of the Youth wants to say: “Thank you Holy Father”. 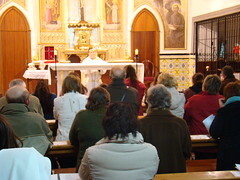 The EUK Mamie Foundation, an initiative of the Home of the Mother, in collaboration with the Congregation for Divine Worship and the Discipline of the Sacraments, wishes to place emphasis on the importance of the Liturgy and the Eucharist in the life of the Church and therefore, in the new evangelization.